Seasons exist in nature. That they exist in liturgical calendars makes sense, too. It is a pattern as old as antiquity and present in Judaism and Christianity. The focus of Lent is repentance, or, literally, turning around. Traditionally, one is supposed to give up a bad habit, a food one needs to avoid, et cetera, or to take up a good habit. We human beings are creatures of habit, so may we nurture positive ones. Advent and Lent are the two preparatory seasons in Western Christianity. During Advent one is supposed to prepare for the twelve days of Christmas. Some of us take Advent and Christmas so seriously that we wait until nearly Christmas Eve to say “Merry Christmas,” then say “Merry Christmas” through January 5. During Lent we are supposed to prepare for the fifty days of Easter. I, with my United Methodist background, and Episcopalian affiliation, take Lent seriously while not mistaking it for a time to wear a hairshirt. (Asceticism is not my spiritual path.) 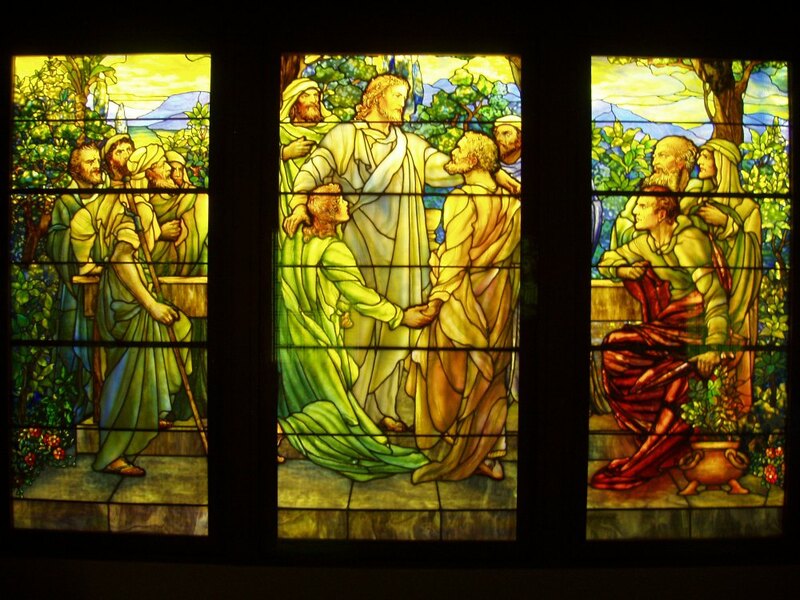 I also observe the Easter season, all the way through the Day of Pentecost. I propose taking on a task for Lent. The details of the task properly vary from person to person, but it should work toward building up treasure in Heaven. Choose one task, O reader, and complete it diligently, faithfully, and well. May you emerge from Lent as a better person in God. I recall that, in 1996, my father began his tenure as pastor of the Asbury United Methodist Church, north of Baxley, in Appling County, Georgia. Shortly after this I began to attend to services at St. Thomas Aquinas Episcopal Church in town, for I had been an Episcopalian for a few years. Nevertheless, I was never a stranger at Asbury Church during my father’s tenure there. One of the adult Sunday School classes at Asbury was discussing the Book of Genesis at the pace of a chapter a week. On one Sunday morning in the summer of 1996 the leader of the group, having covered Chapter 37 the previous week, skipped over Chapter 38 to Chapter 39, with little explanation. The story of Judah, Tamar, levirate marriage (the background of the question in the readings from the Gospels), and temple prostitution was a really hot potato, so to speak. The narrative in Genesis 38 does not criticize a young, childless widow for having sexual relations with her father-in-law at a pagan temple and becoming pregnant with twins. In her situation she did what she needed to do to secure her future. Deuteronomy 25:5-10 commands the practice of levirate marriage, for the benefit of a childless widow in a patriarchal society without a government-defined social safety net. In the case of Genesis 38 the practice, applied to a particular set of circumstances, makes many modern readers of the Bible squirm in their theological seats. This is no excuse for ignoring the chapter, of course. Whenever a portion of scripture makes one uncomfortable, one should study it more closely and, in the highest meaning of the word, critically. they were sad, you see. For the Sadducees the emphasis on this life helped to justify the accumulation of wealth in a society in which economic injustice was ubiquitous. They, like others, failed to ensnare Jesus verbally. He was that capable. 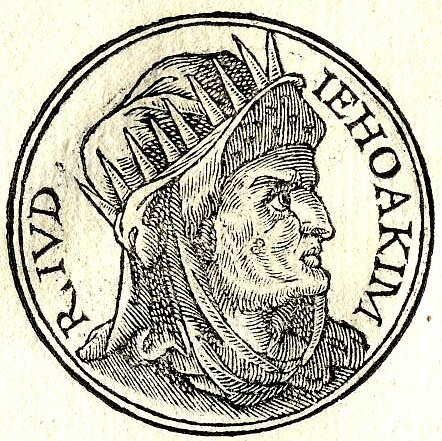 Koheleth, writing in Ecclesiastes, noted that economic injustice and other forms of social injustice ought not to surprise anyone. After all, he mentioned, perpetrators of injustice protect each other. Nevertheless, as the author of Psalm 10 understood, those who exploited the poor (in violation of the Law of Moses) could not escape divine justice. Just as the painful letter of St. Paul the Apostle to the Corinthian congregation led to the changing of hearts there, the study of difficult passages of scripture can lead people to learn more about the Bible, ask vital questions, think more critically about scripture, and grow spiritually. It can also change hearts and minds for the better. May we who call ourselves followers of God neither ignore nor use such passages flippantly, but take them seriously instead. Then may we act accordingly. We might even learn that we are committing or condoning social injustice, perhaps that of the economic variety. The assigned psalms have national themes. Psalm 108 is considerably more upbeat than Psalm 60. The national theme continues in Zechariah 13, in which God will, in the future (relative to the composition of the text), purify the Davidic Dynasty, the people of the realm, and the land of sin (namely idolatry) and false prophets. That vision of the future remains unrealized in 2 Corinthians and the Gospel of John. In the world you will have suffering. But take heart! I have conquered the world. Jesus is about to die on a cross, but he has conquered the world? Jesus will, of course, remain dead for only a few days. He has conquered the world. What more can any person or power do to him after his resurrection? He has conquered the world. Many of the faithful will suffer for the sake of righteousness. Some of them will die for it. Yet the blood of the martyrs waters the church. The world is a mess and has always been one, but, in the words of “This is My Father’s World,” a great hymn, “God is the ruler yet.” Jesus has conquered the world. If we do not recognize this reality, we need to look beyond outward appearances. to be written for the nourishment of your people. through your Son, Jesus Christ, our Lord. Amen. it stands firm in the earth you founded. all these are your servants. for by them you have kept me alive. I belong to you. Save me! For I have sought to keep your rules. but I have looked closely into your instructions. but your commandment knows no bounds. Proclaiming the words of God can prove to be a risky undertaking. The prophet Jeremiah and his scribe Baruch knew this truth well. They worked in a particular political context. Not only was there no separation of religion and government, but the monarch, Jehoiakim (reigned 608-598 B.C.E. ), was a vassal. Neco, the Pharaoh of Egypt, had chosen him to rule as King of Judah in lieu ofJehoahaz (reigned 609 B.C.E. ), another son of the great Josiah (reigned 640-609 B.C.E.). In time Jehoiakim became a vassal of Nebuchadnezzar II (reigned 605-562 B.C.E.) of the Chaldean/Neo-Babylonian Empire, against whom he rebelled. Nebuchadnezzar II was not amused. (You, O reader, can read more at 2 Kings 23:28-24:7 and 2 Chronicles 36:1-8). The purpose of the contents of the first scroll in Jeremiah 36 was to create an opportunity for repentance–the act of turning around or changing the mind. King Jehoiakim and his courtiers did not repent. No, he burned the scroll. YHWH was not amused. Jeremiah and Baruch found themselves in legal trouble, but YHWH hid them. And Jeremiah dictated a second scroll to Baruch. St. Paul the Apostle and his traveling companions also knew well the political and legal hazards of proclaiming the words of God. In fact, the Apostle became a martyr because of that proclamation. He also knew the risks of hurting the feelings of people who were precious to him. As St. Paul knew, one is not responsible for the thin skins of other people. Jesus and St. Paul understood the value of building up others and faithful community. Sometimes acting on this principle requires moving along to another place, to engage in the work of building up others there. I have belonged to a series of congregations, mostly during my time in the household of my father, a United Methodist minister. I moved on psychologically, burying many memories, when I relocated physically. Nevertheless, I recall that certain members of those rural congregations in southern Georgia, U.S.A., used their positions, whether formal or informal, to build up themselves to the detriment of faith community. They forgot, if they ever knew, that the congregation belonged to God, not to them. Those churches would have been healthier faith communities if those people had acted differently and others had not enabled such destructive behavior. I have seen such behavior less frequently in Episcopal congregations I have attended, not than one denomination is more prone to this pathology than another. What is God calling you, O reader, to do in the context of faith community? Building it up is a general description, what are the details in your context? And, if proclaiming the words of God faithfully puts you at risk, are you willing to proceed anyway? Whatever your circumstances are or will become, may the love of God and the imperative of building up others, society, and faith community compel you. And may you succeed, by grace. The assigned readings for these two days pertain to the theme of commitment to God. Saul simultaneously seeks forgiveness and shifts the blame. 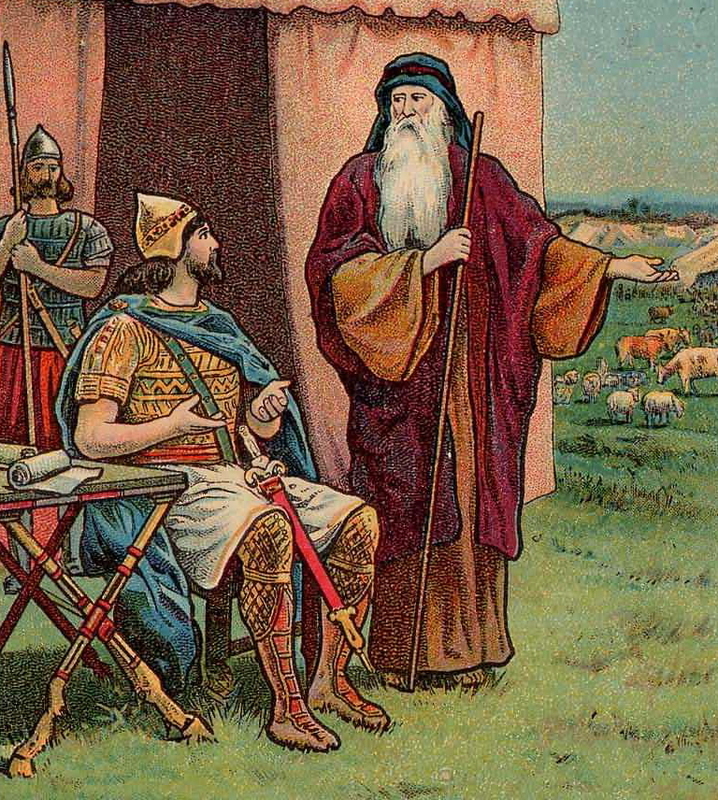 1 Samuel 13 contains a different account of God and Samuel rejecting Saul. There the monarch’s offense is to usurp the priest’s duty. Making an offering to God properly was a major issue in the Old Testament, for some people died because they made offerings improperly. Once the hand is laid on the plow, no one who looks back is fit for the kingdom of God. At that point in the Lukan narrative Jesus was en route to Jerusalem for the climactic week of Passover. He was neither offering nor accepting excuses. Who dares offer one? O God, you are the source of life and the ground of our being. and raise us to the new life of your Son, Jesus Christ our Savior and Lord. Amen. Turning is of the essence. The Kingdom of Israel was prosperous and militarily strong under King Jeroboam II. Yet all was far from well. Idolatry and economic exploitation were commonplace and the alliance with Assyria was dangerous. God, through the prophet Hosea, called the populaton to repent—to change their minds, to turn around. They did not do this, of course, and fearful consequences came to pass. Yet there was also the assurance of forgiveness. …This tells us something about the nature of impurity. It spreads throughout a person or object. And it is not any kind of creature, like bacteria. It is a pervasive condition. The fear of bad influences present in Hosea and Leviticus exists also in the New Testament readings. Indeed, we ought to care deeply about the nature of our peer groups and our intimate partners, for they do influence us. But we should never forget that Jesus, our Lord and Savior, scandalized respectable people by associationg with marginalized and disreputable people. The sick need a doctor, he said. If we who call ourselves Christians mean what our label indicates, how many respectable people will we offend and scandalize? We ought also to avoid using piety (such as keeping the Sabbath in Matthew 12:1-8) as an excuse for missing the point. Human needs mater. Sometimes they prove incompatible with a form of piety which only those of a certain socio-economic status can afford to keep. And we should never use piety as an excuse not to commit a good deed, as one character in the Parable of the Good Samaritan did. If the man lying by the side of the raod had been dead, the priest would have become ritually impure by touching him. Then the cleric would have been unfit to conduct certain rites. Human needs matter more, or at least they should. May we repent of using any excuse for not doing the right thing. May our active love for each other spread like a contagion—a good one.